Found this beauty under an oak tree, the perfume in the soil was superb and from the top I thought I’d found a truffle of around 200grams. However it kept emerging from the soil like an iceberg, most of it was still well under ground, it weighed in at a massive 554grams! This truffle found a home with Grossi Florentino in Melbourne. Chicken breast demi Deuil, Creamy Truffle Sauce. 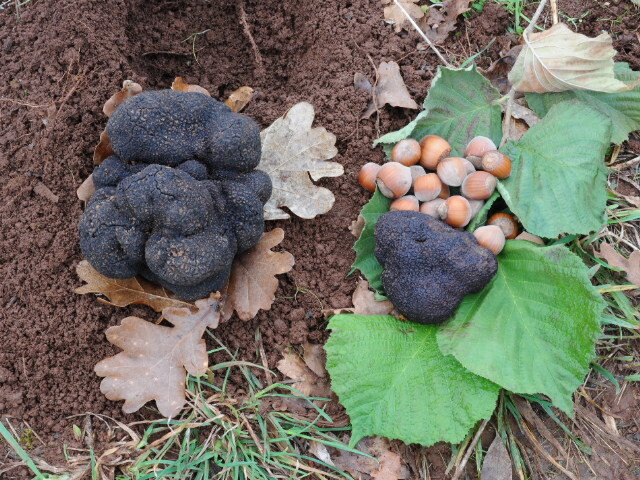 Cold week saw some impressive truffles. Two nights of heavy frost last weekend helped finish some nice truffle this week. ~1100 grams worth finally reached maturity, two large truffles with wonderful aroma and impressive weights of 259 & 310grams.